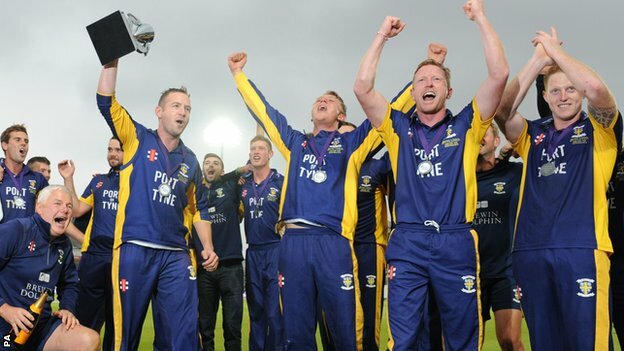 Durham kept their heads in a tense finish as they beat Warwickshire by three wickets to win the One-Day Cup. Bears skipper Varun Chopra made 64 as the Bears, having lost the toss and been put in, were dismissed cheaply in bowler-friendly conditions for 165. Opener Mark Stoneman’s 52 rescued Durham from 12-2 before spinner Jeetan Patel took 4-25 to give the Bears hope. But Ben Stokes (38) and Gareth Breese (15) restored calm to get home on 166-7 with more than nine overs in hand. Breese, one of only three survivors from Durham’s only previous one-day final appearance (their Friends Provident Trophy win over Hampshire in 2007), struck the winning runs in what was likely to be his final appearance for the county. He had also contributed wonderfully with the ball earlier in the day, taking 3-30 from seven overs. But man of the match Stokes was even more influential. After returning figures of 2-25 with the ball, despite two dropped catches, he kept a cool head with the bat in a nail-biting finale that was in marked contrast to his heroic semi-final innings, when he blasted 164 off 113 balls to see off Notts. 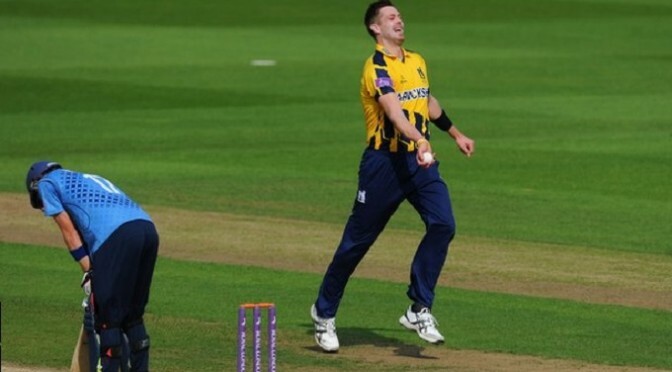 Warwickshire kept their nerve to ease through to the One-Day Cup final with a six-wicket victory over Kent. Despite a late burst from Sam Billings, who made an unbeaten 40, Kent’s 215-8 never looked enough at Edgbaston. England paceman Boyd Rankin again bowled very menacingly to finish with man of the match figures of 3-34. Half centuries by Jonathan Trott (58), Varun Chopra (50) and Tim Ambrose (51 not out) then all helped the hosts home on 219-4, with 21 balls to spare. The Bears’ victory keeps alive their hopes of doing the treble – 20 years on from Edgbaston’s class of 1994 doing the same. Having won the T20 Blast on their own ground less than a fortnight ago, Dougie Brown’s Bears will now face the winners of Saturday’s Durham-Nottinghamshire semi-final at Lord’s on 20 September. But they remain outsiders in the County Championship, 33 points adrift of leaders Yorkshire with two games left. It took the big-hitting skills of Billings to elevate the Kent innings to a total worthy of defending. At 161-8, after the fall of three quick wickets, the visitors looked like they might not even complete their 50 overs. But Billings hit four fours and a six, sharing an unbroken 59-run stand with tail-ender David Griffiths. Warwickshire then quickly lost William Porterfield in reply, before a 110-run second-wicket stand between Chopra and Trott. Both went in quick succession as 120-1 became 132-3. Trott carved to backward point off Griffiths, who had just dropped him on 54 at mid-on, then Chopra was trapped lbw by spinner Adam Riley. But experience told as Ambrose got the innings back on course in the company of Laurie Evans, who weighed in with 24 to add to his three earlier catches, one of them a one-handed stunner to remove Alex Blake. And, after being joined by the reassuring presence of Rikki Clarke, it was Warwickshire wicketkeeper Ambrose who hoisted the winning boundary, just short of the ropes at midwicket.